Jason was named for inclusion to the New York Super Lawyers Rising Stars list, a Thomson Reuters lawyer rating service for lawyers under 40, for 2013 and 2014. As a Corporate attorney with Olshan, Jason S. Saltsberg represents publicly traded and closely held companies in connection with corporate transactions and general corporate matters. Jason represents public and private companies in connection with the structuring and negotiation of secured and unsecured debt financing transactions, including senior, mezzanine and subordinated debt facilities, acquisition-financing transactions and working capital facilities. 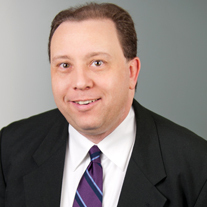 In addition, Jason routinely counsels clients in connection with their business acquisitions, dispositions and security offerings. As a result, he has extensive experience negotiating a wide range of business-related agreements, including those involving debt and equity investments, mergers, and stock and asset purchases. Jason regularly advises clients regarding the preparation and filing of SEC reports, and on financing, corporate governance, securities laws and stock exchange matters. Jason also has substantial general corporate experience, including the negotiation and drafting of employment, stockholder, registration rights, partnership, and operating agreements. Working closely with the firm's Bankruptcy & Financial Restructuring Group, Jason assists investors with restructurings and with the acquisition and divestiture of distressed businesses and assets. Jason also serves as a lead attorney on the firm’s substantive non-consolidation opinion team. Represented Steel Partners Holdings L.P. and its subsidiaries in connection with a five-year, $600 million revolving credit agreement with a syndicate of financial institutions headed by PNC Capital Markets LLC. Represented ModusLink Global Solutions, Inc. in connection with the financing for its $476 million acquisition of IWCO Direct, a leading provider of data-driven market solutions, which financing included a $393 million term loan facility and a $25 million revolving credit facility with Cerberus Business Finance, LLC. Represented Steel Partners Holdings L.P., in its exchange offer and going-private transaction for Handy & Harman Ltd., a Nasdaq-listed company. Represented Aerojet Rocketdyne Holdings, Inc., a leading manufacturer of aerospace and defense products, in a $300 million private offering of convertible senior notes due 2023. The Notes were sold to qualified institutional buyers in accordance with Rule 144A under the Securities Act of 1933, as amended. Represented Bourn & Koch, Inc., a portfolio company of Olshan client Alleghany Capital Corporation, in its acquisition of Diamond Technology Innovations, Inc., a leading manufacturer of waterjet orifices and nozzles as well as related products headquartered in Olympia, WA. Represented BN Ranch LLC, a company led by co-founder Bill Niman that is a supplier of grassfed beef, lamb, and poultry that are raised in a wholesome, humane, and environmentally conscious manner, in the sale of its business to Blue Apron, LLC. Represented Aerojet Rocketdyne Holdings, Inc., a leading manufacturer of aerospace and defense products, in a refinancing that will provide greater financial flexibility to execute its long-term strategic agenda and substantially reduce its interest expense. The amended and restated credit facility replaces Aerojet’s existing revolving credit facility, in an aggregate principal amount of up to $350 million (with a $100 million subfacility for standby letters of credit and a $10 million subfacility for swingline loans) and provides for a delayed draw term loan facility in an aggregate principal amount of up to $400 million. Represented Aerojet Rocketdyne Holdings, Inc., a leading technology-based designer, developer and manufacturer of aerospace and defense products, in the successful completion of the $550 million acquisition of the Pratt & Whitney Rocketdyne business from United Technologies in part with the proceeds from a $460 million bond offering. The acquisition nearly doubled the size of Aerojet Rocketdyne Holdings, Inc. and help ensure that it continues to be a leader in the next space age. Represented hedge fund in its conversion into a publicly traded limited partnership listed on the NYSE. Represented CosmoCom, Inc., a developer of call center management software, in connection with its acquisition by Enghouse Systems Limited, a large Canadian public company, and its subsidiary, Syntellect Inc., for a purchase price of approximately $20 million. Represented Empire Resorts, Inc. in its $35 million rights offering. Represented Everlast Worldwide Inc., a leading designer, manufacturer and marketer of boxing and fitness-related sporting goods equipment and worldwide licensor of the Everlast brand, in its $185 million merger with Brands Holding Limited, a wholly owned subsidiary of Sports Direct International plc, a publicly traded company on the London Stock Exchange. Represented Fox & Hound Restaurant Group in the amendment of their syndicated credit facilities with two major lenders which provided the funds for its acquisition of Champps Entertainment, Inc., a Nasdaq National Market company. Represented a privately held men's accessories company in the $63 million acquisition of the third largest luggage company in the United States. In connection with the acquisition, also represented the company in obtaining over $40 million in secured credit facilities with two major lenders. Represented a company engaged in the operation and development of an electronic open marketplace for the purchase and sale of advertising media in a reverse merger and $12 million PIPE transaction. Represented a NASDAQ-listed company engaged in the gaming and hospitality industries in a PIPE transaction that resulted in raising more than $30 million and a Rule 144A underwritten private offering that resulted in net proceeds of more than $60 million. "No Derivative Rights Under New York's Limited Liability Company Law"